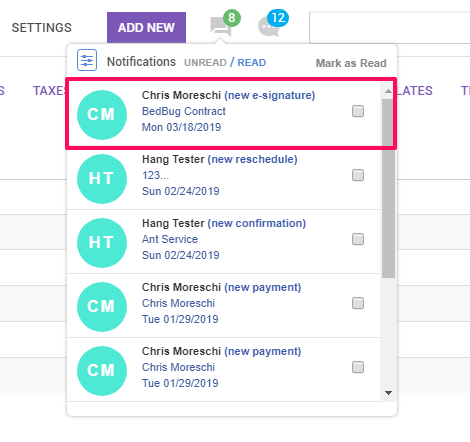 Finally, a field service software to streamline your paperwork process with integrated documents and e-signature capabilities. Whether it’s out in the field or afterhours, dealing with piles of paperwork can be quite cumbersome. 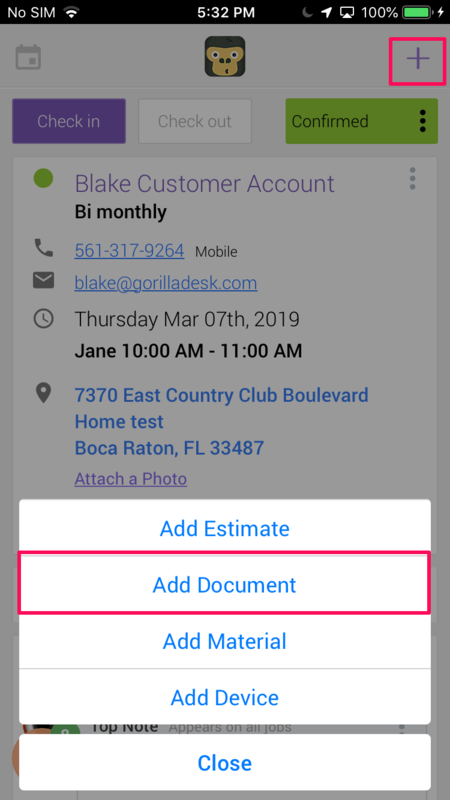 GorillaDesk’s Document feature will allow you to have all of your necessary forms at your fingertips, accessible on both the mobile and desktop app. Go completely paperless and streamline your document process. 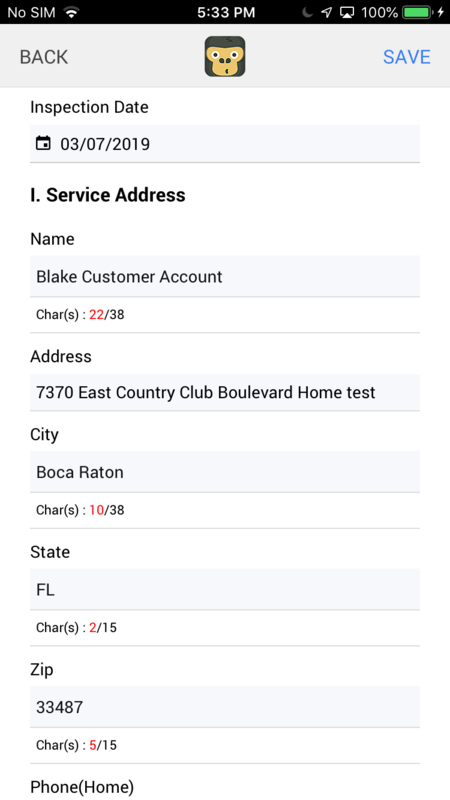 Save more time by automatically pulling information from the customer’s account directly onto your form. 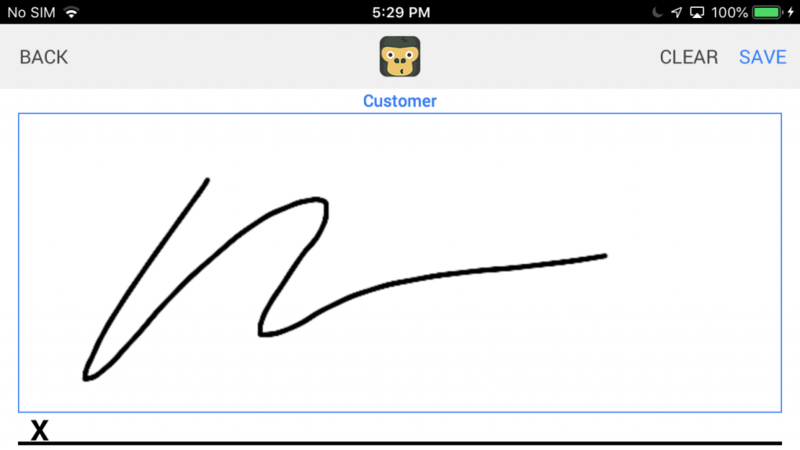 Take a signature out in the field or allow the customer to sign at their convenience using the E-Signature capability. Access past and current documents at any time in a single consolidated place. 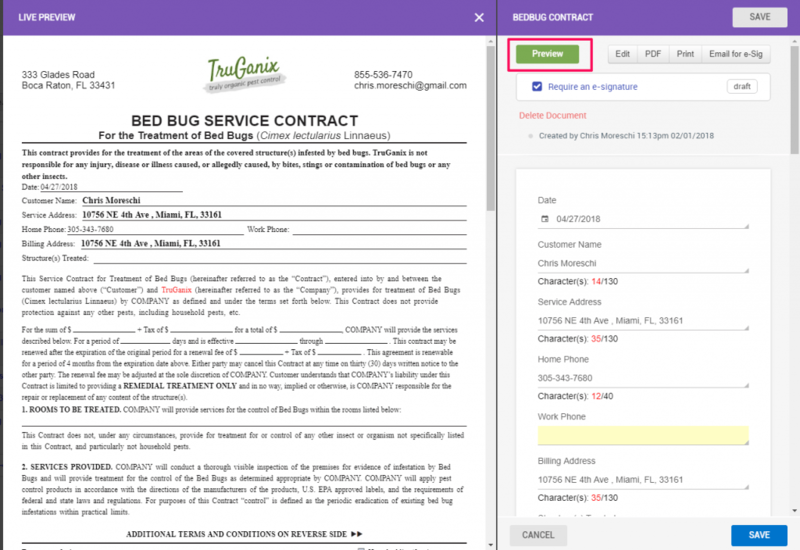 Allow your customers to view previous paperwork at their convenience in their customer portal. Print any of your documents with just a click. 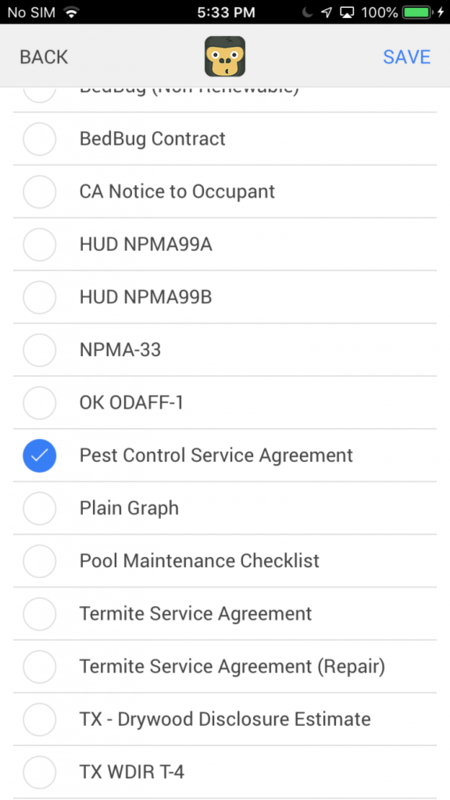 Pro Users will have access to our global library of custom documents from inspection reports, contracts, service agreements and much more. Any government required documents can be added to the Document Library free of charge. 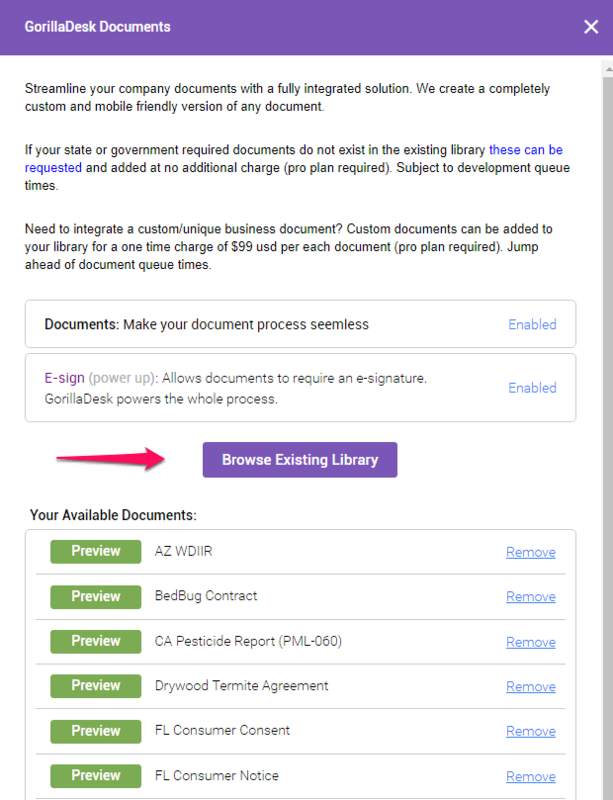 GorillaDesk’s Documents feature certainly isn’t limited to just our global document library. Whether it’s a pre-existing contract specific to your business or a brand new document you’ve dreamt up; don’t worry, we’ve got you covered! Our team can integrate your custom documents directly into your account for just a one time $99 payment per form. Once they are integrated into your account, they will have the same functionality as our global documents. 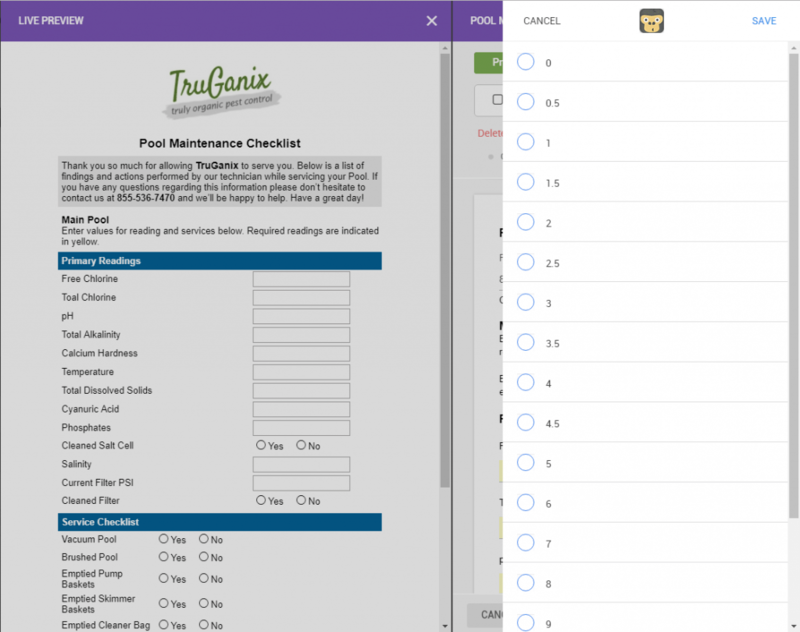 ✓ Easy to use checkboxes and drop down menus allow you to input data quickly and efficiently. ✓ Certain fields can prefill with data directly from the customer’s account (ex. Customer name, billing and service address etc.) to save you even more time. Accessing past, current, or future documentation has never been easier for your office and admin users. Documents are accessible within any active job or on the customer’s account at any given time. 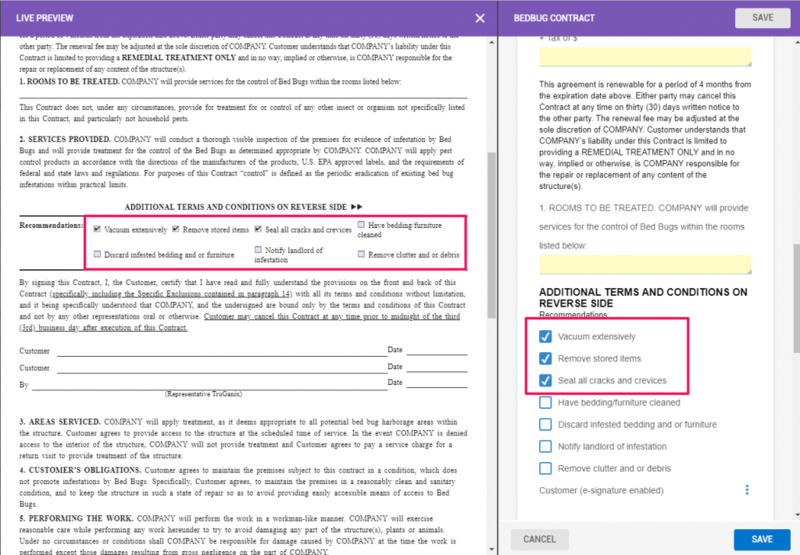 Accessing documents on the desktop version of GorillaDesk allows the user to utilize the ‘Preview’ option on the left side of the screen. This will show data entered into the document in real time as it’s added into the corresponding fields. 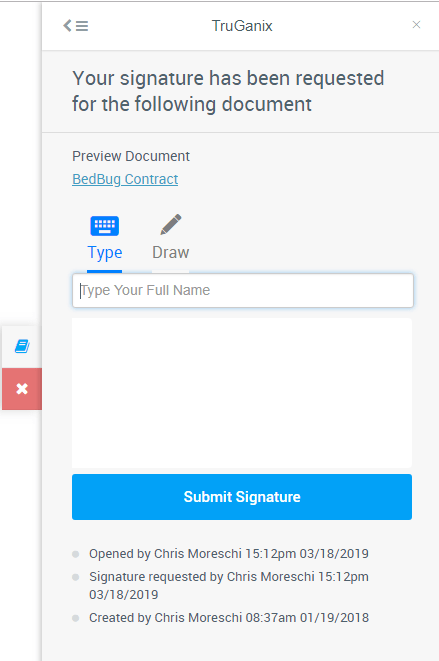 Finally, once the document has been filled out and emailed for E-Signature, you can take a deep breath and relax.GorillaDesk will take it from here! 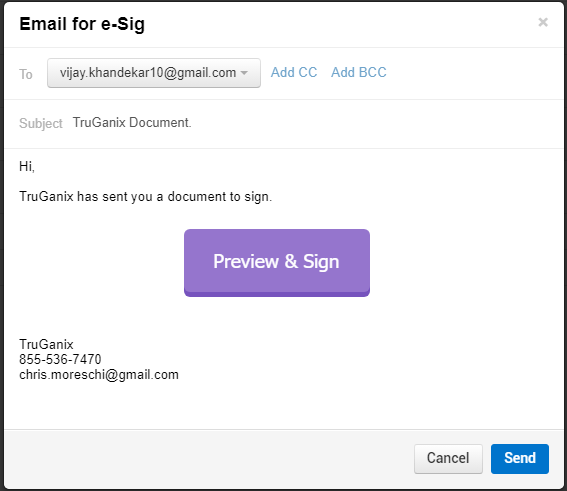 By enabling E-Signed Document notifications, you’ll be notified as soon as a customer has signed your form. Your newly signed document will be saved in the cloud, accessible at anytime across multiple devices. 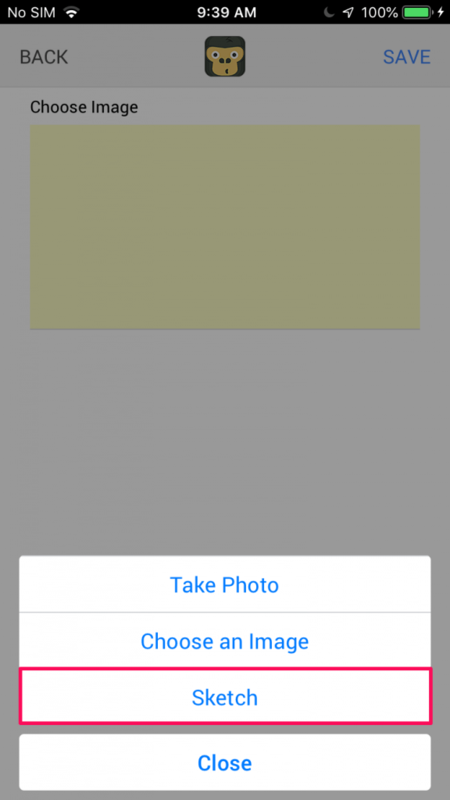 Don’t worry mobile users, the documents feature isn’t limited to only the desktop version of GorillaDesk. 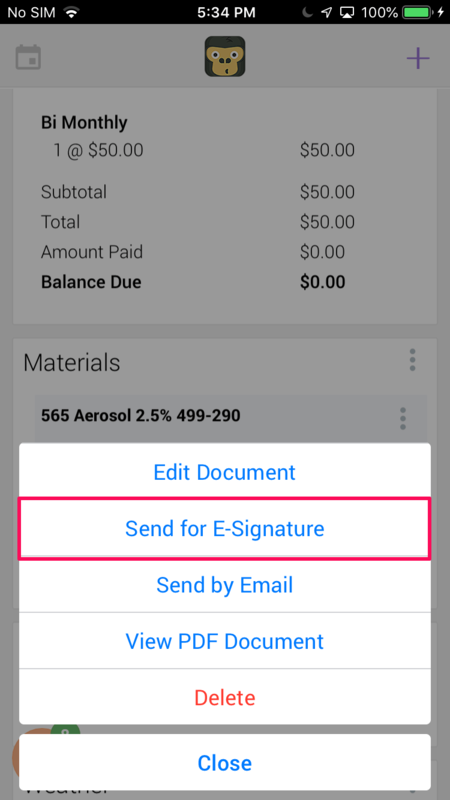 The mobile app will provide the same functionality with the ability to access any of your paperwork on the go. 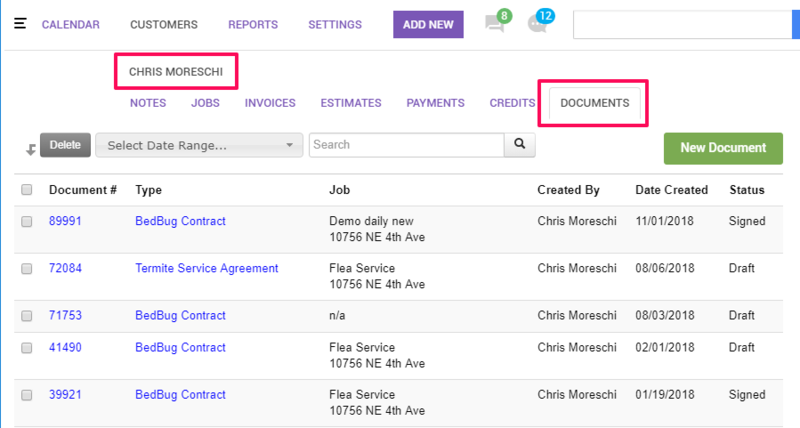 ✓ Add just one or multiple documents to an active job or customer’s account. ✓ Input data directly into your paperwork, leaving pens and paper as a thing of the past! ✓ Take a signature in the field or email for E-Signature, all from your mobile device. 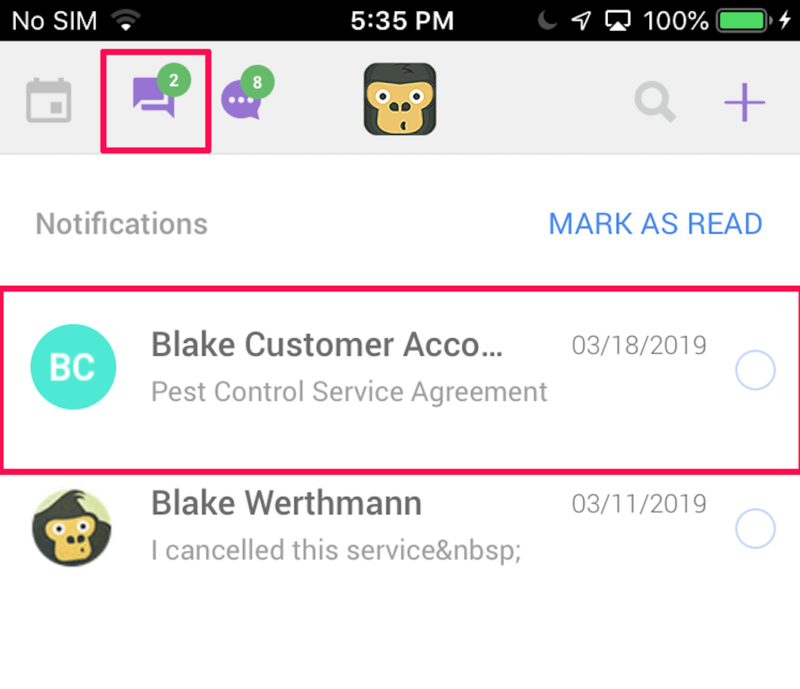 ✓ Receive notifications on your mobile device as soon as a document has been E-signed so you’ll never be out of the loop. 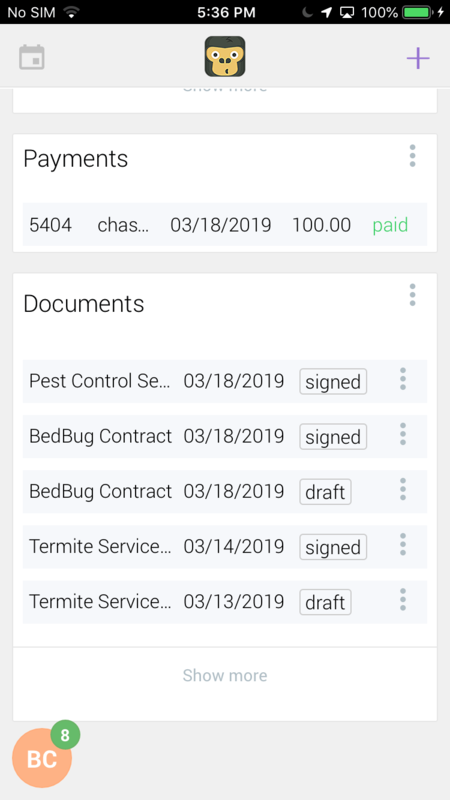 ✓ Much like the desktop version, all signed, current, and future documents are accessible at any time on the mobile app. 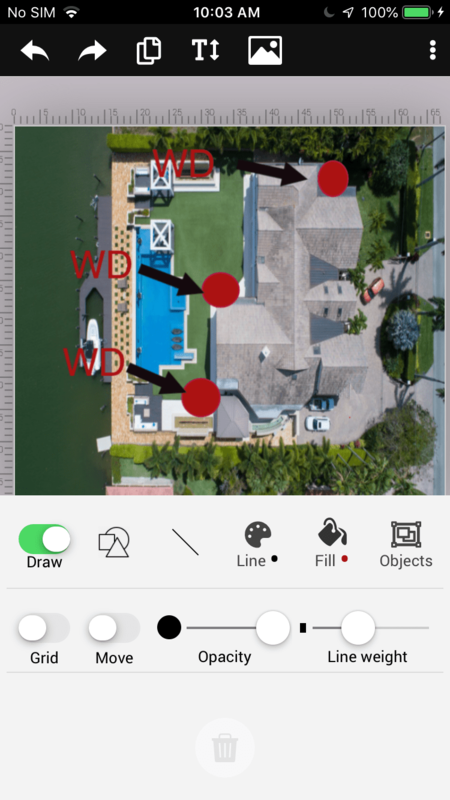 GorillaDesk offers an in app drawing and graphing tool called sketch; available on the mobile app. You’ll have the ability to upload your graph to any available attachment field on your document OR simply add a separate plain graph document. 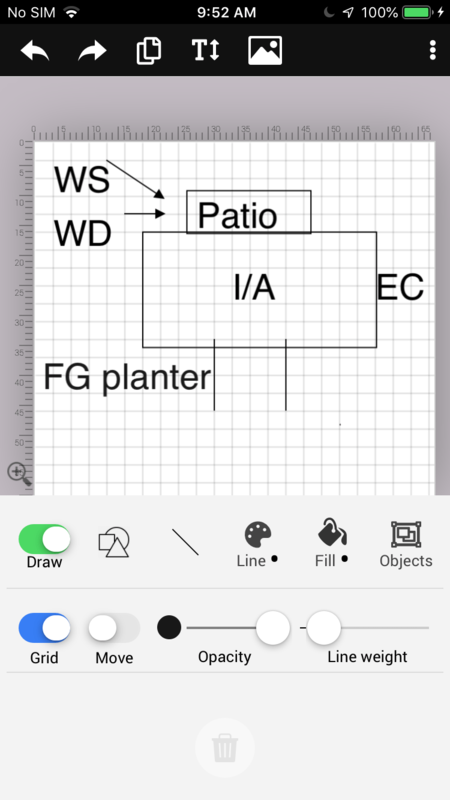 You can also draw/graph over an uploaded image in Sketch! Carrying around piles of paperwork and spending long hours after hours filing/organizing will soon be a thing of the past. Don’t believe us? Schedule a demo or try our 14 day trial to learn first hand how we will help you save 13.3 hours per week. We look forward to speaking with you! All these features are waiting for you inside GorillaDesk. Enter your best email address below to get started with a 14-day FREE trial and streamline your workload. You have questions about Paperless Invoicing, we have answers. What plan do I need to be on to access Documents? 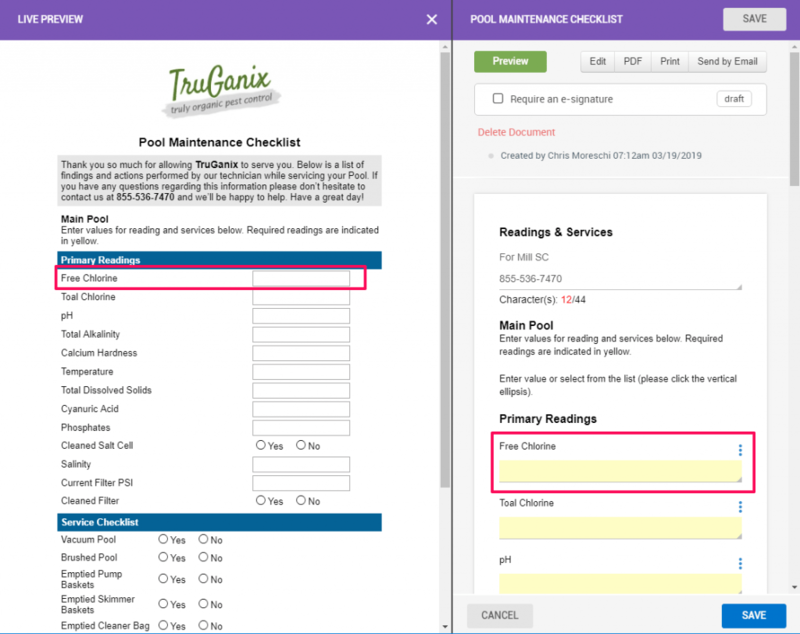 Documents are only available to users on the Pro Plan. Are documents different than Invoices, Estimates, and Work Orders? Yes, they function a bit different than Invoices, Estimates, and Work Orders. Documents are designed to auto fill certain fields with information directly from the customer’s account. Though you can take a signature in the field for Invoices, Estimates, and Work Orders; documents have E-Signature capability which will allow your customers to sign electronically at their convenience. Do I need to pay $99 every time I want to use my custom document? No, custom documents only require a one time payment of $99. Once your document has been integrated into your account, you can use the form as much as you’d like at no additional cost. Do I have no pay for a state required form if it is not in your library? No, any state or government forms can be integrated into the account without any cost. What if I want to print out my document? Though you have the ability to go completely paperless, every document will also have a ‘Print’ option.